My rating: 8.5/10. Very good watch. Durable oversized design. Today I’m doing a Casio G-Shock GW7900B-1 review, sometimes known as a GW7900B-1ER review. 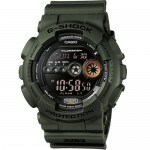 Casio’s G-Shock collection has grown to become one of the biggest selling styles of watches in the world. Their durable design is perfect for those seeking a watch that can handle an adventurous lifestyle or an extreme work day. This is a feature rich, extremely durable timepiece from Casio. 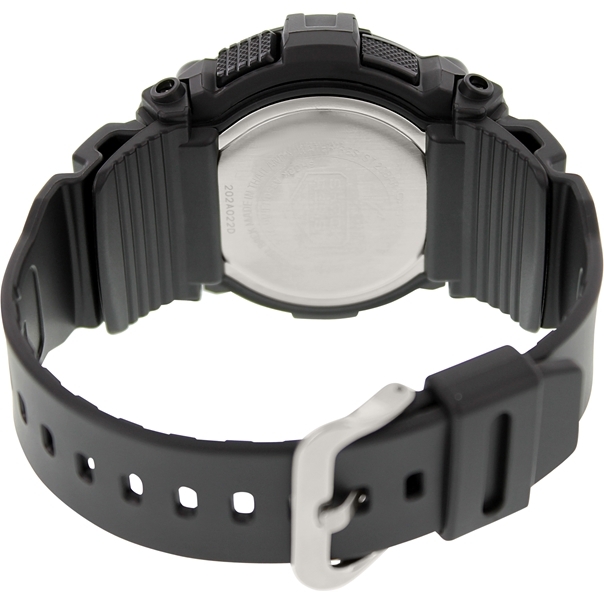 The overall design has this military feel to it with it’s all black design and reversed digital display. It’s very tough and can withstand being dropped as it’s designed to be shock resistant. The stainless steel casing is wrapped in this thick black resin that gives it this high level of protection. The watch has a nice oversized feel to it, something I personally really like. The casing diameter is 50mm whilst the thickness is 18mm, so you can see it’s a fairly substantial chunky watch. Because of its larger size, it may not be that suitable for people with smaller wrists. 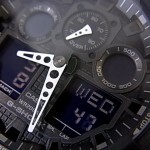 It’s an incredibly accurate watch that uses atomic timekeeping to keep it up to date. It automatically synchronizes via radio with an atomic clock to make it very accurate. The watch itself is solar powered which is a really nice feature, no more battery changing, good for the environment and the wallet. Using light it charges itself up and can run for up to 5 months without recharging. It does come with a handy power reserve indicator as well just in case. Other features of the G-Shock GW7900B-1ER include a world time display, useful backlight, multi-alarm system and of course the 200m water resistance. Band Resin strap, standard length, 26mm width, buckle style clasp. Case Stainless steel casing wrapped in resin, sizing diameter: 50 mm and thickness: 18 mm. Dial Digital display. Features a date display. The window lens is made of mineral crystal. 200m water resistance, suitable for professional marine activity, serious surface water sports and skin diving. 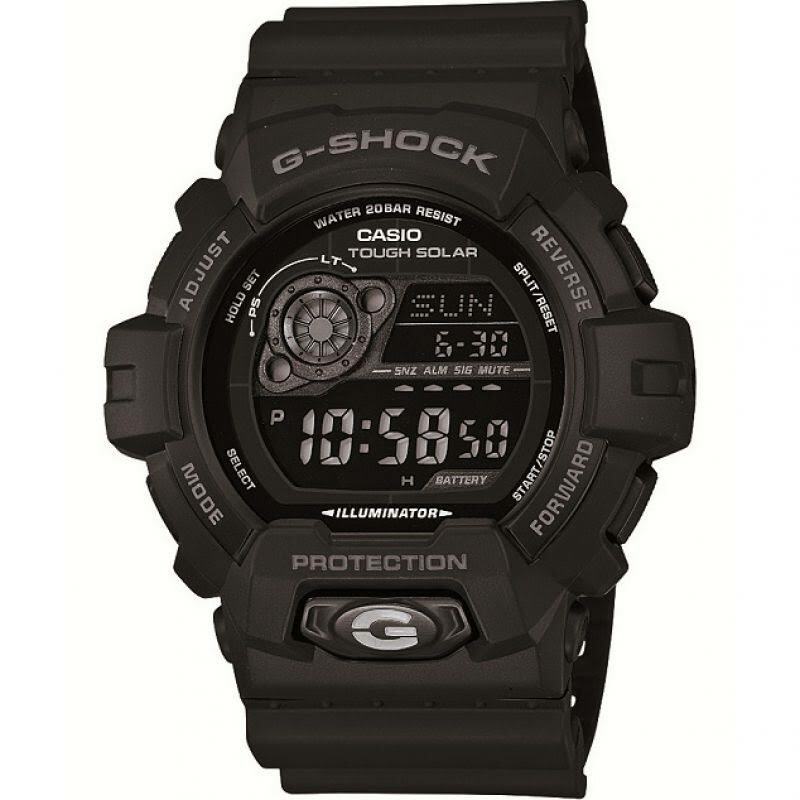 The Casio G-Shock GW7900B-1 is a very impressive durable watch. Perfect for those who need something with a bit more staying power. I’d say considering the technology involved and the design of the watch that it’s pretty fair value for money. Hope you enjoyed this Casio G-Shock GW7900B-1 review. Find more watch reviews below.